When it comes to credit cards, Capital One has a number of high-quality options that are a fit for everyday credit cardholders searching for lucrative sign-up bonuses or high travel rewards. Which is why we’ve vetted Capital One's lineup of credit cards to bring you our picks for the best. Travel cards with no annual fee generally pull back on cardholder favorites, but this offer keeps those perks intact, making it a solid offer for cardholders not spending enough on credit to justify paying an annual fee. Business owners with average credit and lower have limited card options, many of which skimp on perks and charge high rates. This offer brings more value with 1% cash back for all purchases and no annual fee. 2% unlimited cash back for all purchases is among the highest flat rates you'll find, business card or not, making it a good fit if your business spending justifies paying a modest annual fee. Earning 2 miles per $1 for all purchases is among the best yield you'll find in the travel category. Add in a big sign-up bonus and no foreign transaction fees and you can see why it's such a popular business card. Capital One is a pioneer of rewards credit cards and a favorite among frequent flyers. The issuer basically invented the targeted credit card offer back in the 1990s, and their travel rewards credit cards have consistently been listed among the best for years. Even if you’re not the traveling type, Capital One offers solid credit cards for cash back, businesses, and even credit building. With so many options, it can be hard to choose. This guide explains everything you need to know about the best Capital One credit cards. Credit card offers vary greatly in both design and quality. While one credit card might be great for travel rewards, another might be more suited for helping beginners work their way toward a higher credit score. When it comes to comparing their features, here are some key factors we take into account. Here at The Ascent, we’ve collectively written over 2,300 personal finance articles that have been featured on AOL, Yahoo!, and MSN. Before launching, we scrutinized more than 6,000 data points and hundreds of the best credit card offers to develop a credit card ranking system that’s sure to serve you and your wallet. Capital One offers a huge variety of credit cards that cater to all needs, whether you’re looking to rack up travel points, save money on dining, get a credit card for your new business, pay off debt, or even build credit. Even though they only offer two travel rewards credit cards, both of Capital One’s Venture cards have consistently been ranked as the best travel rewards credit cards on the market for years now. These cards are designed to help you earn rewards that can be applied to travel expenses, helping you potentially save thousands on your dream vacation. They also tend to offer bonus points for travel spending and perks that are particularly useful for frequent travelers. Many consumers prefer cash back credit cards because they don’t have to worry about difficulties with redeeming travel rewards, such as blackout dates and redemption options that don’t fit their travel schedule. Cash back credit cards instead offer to give you back a percentage of each purchase you make. Flat rate cash back credit cards offer a flat rate back on all purchases, usually 1.5% or 2%. Other cash back credit cards have bonus categories that offer a higher percentage back -- such as 3% cash back on all travel purchases or 4% cash back on dining and entertainment -- but only offer 1% back on other purchases. The catch-22 of credit building is that the best way to do it is with a credit card, but you have to already have a good credit score to qualify for most credit cards. Secured credit cards are specifically designed to help people with low credit scores or no credit history build credit, and typically, just about anyone can qualify for them. These credit cards typically require a deposit that secures the credit card, mitigating the risk involved in lending credit to someone with a poor credit score. They have low credit limits as well. Typically, after a certain number of on-time payments, you can qualify for a bigger credit limit or an unsecured credit card. Business credit cards are similar to personal credit cards, except their rewards are geared more toward business expenses and they don’t always affect your personal credit score. However, Capital One is unique from most issuers in that they do report business credit card activity to personal credit bureaus. It’s worth noting that you don’t need to own a registered company in order to qualify for a business credit card. Any form of self-employment, or even a side hustle like selling goods on eBay, can count as a “business.” These credit cards may reward your business spending at a higher rate and help you separate your finances. Most issuers now have credit cards with 0% APR promotional offers, and Capital One is no different. These 0% APR offers can apply to new purchases, balance transfers, or both. They specify a promotional period, usually 12 to 21 months, after which the APR will jump back up to a pretty high rate, so it’s crucial to have your bill paid off before that happens. Having a 0% APR on new purchases can be useful, but only if you’re highly responsible and certain you can pay it off in time. Typically, saving the money you need for a big purchase is ideal. However, credit cards with good balance transfer offers can be very useful in helping consumers pay off debt without paying any interest. Most Capital One credit cards require a good credit score, which translates to a FICO® Score of at least 670. If your credit score is fair -- a FICO® Score between 580 and 669 -- you will find it difficult to qualify for most of the best Capital One credit cards, but you may be able to obtain some of their business credit cards. If your credit score is fair or poor and you’re having trouble receiving approvals, you should consider a secured credit card from Capital One, which will help you build credit and eventually be approved for a better rewards credit card. 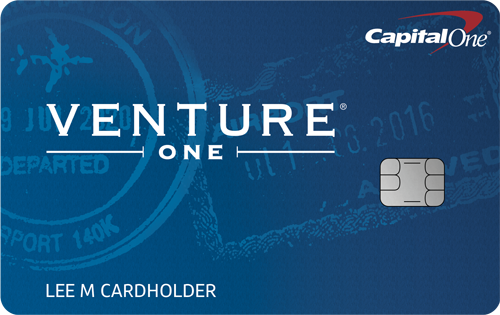 Additionally, Capital One does limit the number of cards you can carry with them. You cannot typically carry more than two Capital One personal credit cards at once. It’s also worth noting that Capital One, unlike most issuers, will pull your credit report from all three bureaus when you apply for a credit card. This results in three hard pulls on your credit report, so make sure you space out your applications to avoid having too many recent inquiries after a Capital One application. Capital One’s travel rewards credit cards offer “miles” that are worth a flat rate of $0.01 for travel redemptions and can be used toward travel purchases and gift cards. This means that a sign-up bonus of 50,000 miles would be worth $500. Capital One credit cards offer either cash back rewards or travel rewards. The former is self-explanatory as their system is similar to any other cash back rewards system. Their travel credit cards, such as their Venture® cards, offer a surprisingly simple rewards system -- easy redemptions aren’t always the case when it comes to travel rewards. Capital One Venture® “miles” aren’t like frequent flyer miles. Instead of being redeemable on a specific airline, you can redeem them for any qualifying travel purchase, including hotels, taxi rides, and rental cars. You can even redeem your miles for gift cards, or statement credits, although travel redemptions offer the best value. Your miles will never expire as long as your account is in good standing, and there’s no minimum redemption requirement, which is a big advantage over similar travel rewards programs that require you to redeem a minimum of 2,500 to 10,000 points at a time. Pay your credit card balances in full each month to harvest the most value from earning credit card rewards. There's no sense in earning rewards at low single-digit rates as interest charges pile up at far higher double-digit rates. Plus, you'll be on the path to increasing your credit score since a solid payment history and low credit utilization are the two most important FICO® Score factors. 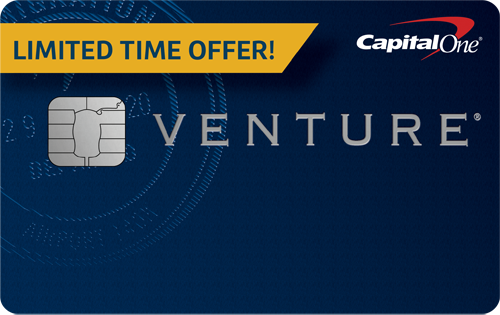 If you have either of the Venture® cards, you’ll be accumulating miles. There are four main ways to redeem your Capital One miles. As described below, they do differ in value. This section helps explain your options and how to get the most out of your Capital One miles. Redeem miles for travel purchase credits (value of $0.01 per point) -- The Capital One Travel Eraser allows you to use your miles to “erase” any travel purchase you’ve made in the last 90 days. This includes flights and hotels, regardless of who they were booked with, as well as rental cars, vacation rental websites like Airbnb, cruises, and often transportation, entrance fees, and taxis. For example, let’s say you recently stayed in a hotel and your final bill was $678. You charged it to your Capital One credit card, and you have 50,000 miles in your account. You can apply those 50,000 miles to your $678 hotel charge, and it will be reduced by $500. Redeem miles for travel reservations (value of $0.01 per point) -- You can also use your points to book travel through the Capital One travel portal, and you’ll receive the same value as you would if you used them to erase travel purchases after the fact. This might not be as lucrative as the first option, though, because you could lose out on some extra rewards. For example, booking a hotel this way with the Capital One® Venture® Rewards Credit Card means you lose out on the 10 miles per $1 spent on Hotels.com. Redeem miles for gift cards (value of $0.01 per point) -- You can also redeem your miles for gift cards if you’d prefer to use your rewards for shopping rather than travel purchases. There is a range of retailers available with this option, including Amazon, Best Buy, restaurants, clothing stores, and movie theaters. Redeem miles for cash back (value of $0.005 per point) -- Using this redemption option isn’t really worth it unless you have absolutely no other way to redeem your miles. You can use them to get cash back on any purchase you’ve made, however, if it’s not coded as a travel purchase, you’ll get half the value for your points. It’s important to select a credit card that will maximize your rewards while minimizing your fees. To do that, you’ll need to consider your credit score, spending habits, rewards preferences, and financial goals. You should consider the Capital One® Secured Mastercard® or the Capital One® Spark® Classic for Business. You should consider the Capital One® Venture® Rewards Credit Card if you travel regularly and the Capital One® VentureOne® Rewards Credit Card if you only travel a couple times per year or less. You should consider the Capital One® Quicksilver® Card, which gives you a flat rate of 1.5% cash back on all purchases, or the Capital One® Spark® Cash for Business, which is a business credit card that gets you 2% cash back on all purchases. You should consider the Capital One® Spark® Cash for Business if you prefer cash back or the Capital One® Spark® Miles for Business if you prefer travel rewards. 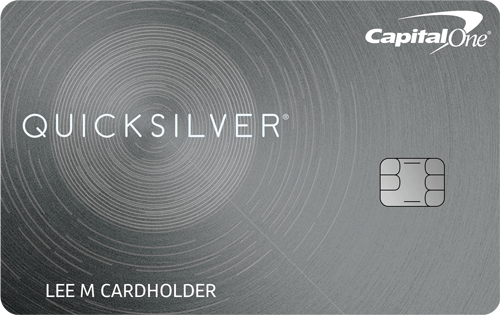 You should consider the Capital One® Quicksilver® Cash Rewards Credit Card, which offers a 0% intro APR on balance transfers for 15 months. Balance transfers are subjected to a 3% fee. This is one of very few balance transfer credit cards that also offers rewards. 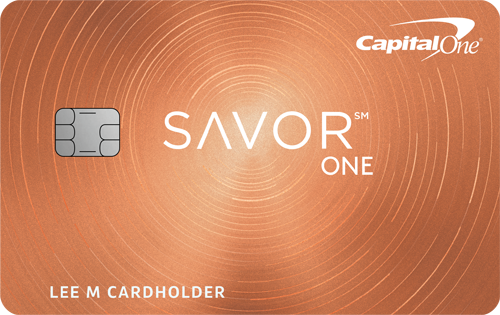 You should consider the Capital One® SavorOne℠ Cash Rewards Credit Card if you’d prefer to avoid an annual fee or the Capital One® Savor® Cash Rewards Credit Card if you think you spend enough to outweigh the annual fee. You’ll need to spend at least $9,500 per year on dining and entertainment for the Capital One® Savor® Cash Rewards Credit Card to be a better deal based on ongoing rewards alone, however it does also come with a sign-up bonus worth $350 more than the Capital One® SavorOne℠ Cash Rewards Credit Card. In the end, choosing a credit card that’s right for you isn’t just about the rewards. It’s about the fees as well. Rewards can make it tempting to run up a balance you can’t afford to pay off, but given the high APR on all of these credit cards, that’s never worth it.